In 2015, foodborne outbreaks sickened more than 15,000 people, required 950 hospitalizations, and forced 20 food recalls. Fifteen people died in the outbreaks, according to the CDC. If you make headlines for serving tainted food and survive the damage to your reputation, you could still face ruinous litigation. Restaurants that manage to avoid litigation still face potentially major damage to their reputations. 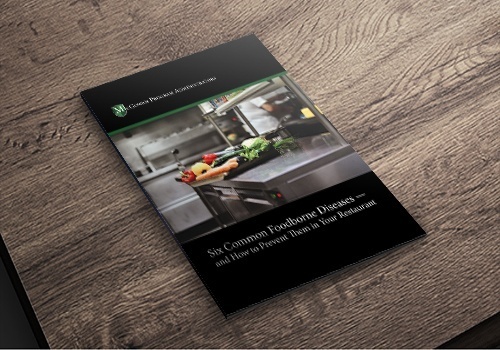 It takes just one mistake on a busy night to unleash a foodborne-disease outbreak. That’s why forward-looking restaurateurs take out insurance policies written to meet the precise needs of their business.